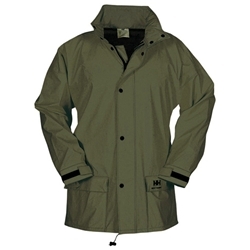 The Helly Hansen Impertech rain jacket has been a standard for Alaska hunters for many years. The Impertech raingear is a 100% waterproof raingear. 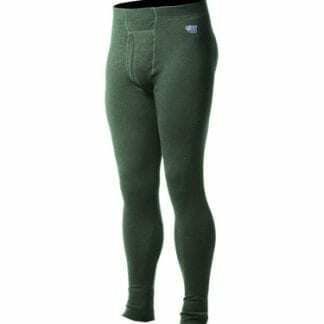 It is lightweight and has a built in 4-way stretch. The outer material will not absorb blood and is quiet going through the brush. With heavy activity you can expect to sweat in this raingear but it will keep you dry from harsh wet weather conditions. 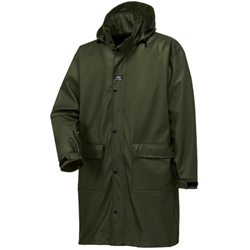 This is our favorite raingear for moose hunting and spring bear hunts. This is a very basic yet versatile jacket and it really works regardless of the weather. -Average weight – 30 oz.